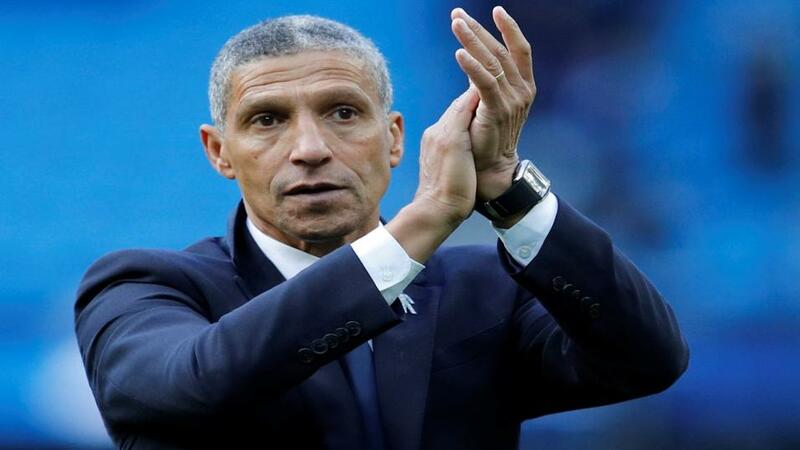 Will Chris Hughton be applauding his Brighton team after their match with Huddersfield? Two struggling sides meet when Brighton host Huddersfield. Opta tries to prise them apart. "No team have played more league matches against Brighton at the Amex Stadium without winning than Huddersfield Town (6, level with Leeds United)." Brighton are [1.86] to win. Brighton are unbeaten in six home league meetings with Huddersfield Town (W3 D3 L0) since a 2-3 defeat in League One in April 2011. The draw is [3.6]. No team have played more league matches against Brighton at the Amex Stadium without winning than Huddersfield Town (6, level with Leeds United). Brighton are [1.86] to win. Brighton are winless in three home Premier League games (W0 D1 L2), last enduring a longer run between October and December 2017 (six games). Huddersfield are [5.5] to inflict another defeat. Since 2011-12, when the Amex Stadium opened, Yorkshire teams have won just two of 30 visits there in league football (including play-offs), with Barnsley winning 2-1 in December 2013 and Sheffield Wednesday winning 1-0 in August 2014 (W2 D10 L18). Brighton are [3.0] to win half-time/full-time. Brighton haven't lost consecutive home league matches in the same season since losing three in a row in the Championship in January 2016. Huddersfield are [3.8] Draw No Bet. Huddersfield Town defeated Wolves 1-0 in midweek and will be looking to win consecutive Premier League matches for the first time in over a year (February 24th 2018, the last time). They are [2.08] in the Double Chance market. Huddersfield haven't scored a goal in their last five league matches played in March, including all four in the Premier League last season. Brighton are [2.7] to win to nil. Brighton have lost eight of their last 12 Premier League games (W1 D3), losing five of their last six (D1). The draw half-time/Huddersfield full-time double result is [11.0]. Brighton have won just one of their nine Premier League games against teams starting the day in the bottom three (W1 D3 L5), losing their last three in a row. Huddersfield are [9.0] to win half-time/full-time. Huddersfield striker Steve Mounie has been involved in four of Huddersfield's last five Premier League goals (2 goals, 2 assists). Mounie is [5.5] to score.